If you’ve ever witnessed a family member lose a tooth or several, you’ve probably seen their lifestyle and habits change as well. Teeth help you to digest your food by chewing effectively and also play a big part in your ability to pronounce your words. Every component of your mouth is important and it’s equally important to understand the function of each tooth. 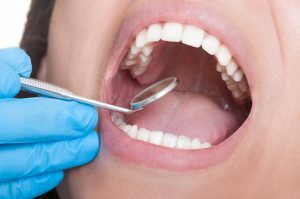 Your Sapulpa dentist understands that you’re more likely to take better care of your teeth and gums when you can truly appreciate how each methodically developed tooth plays a role in your quality of life. After all, every type of strong tooth makes for a healthy body and gorgeous smile. Wear a mouthguard when participating in anything active (most sports-related dental injuries over in the front teeth). Visit your dentist semiannually to get them professionally cleaned. Brush and floss regularly—especially floss because tough foods can get stuck between these teeth. Visit your dentist semiannually for a checkup and professional cleaning. These teeth are formally known as “bicuspids.” Their primary function plays a crucial role in the digestive system by being the first step in breaking down food—chewing and grinding food. You have four premolars (two on the upper jaw and two on the lower jaw) and then the second set of permanent molars grow in behind those. If you can floss between these teeth. Dr. Mohanna and Dr. George know it can be difficult to reach further back in your mouth, but there are tools that can make flossing easier. Remove as much food and bacteria as possible by brushing regularly. Visit your dentist for semiannual dental checkups and professional cleanings. Most patients recognize these teeth by the name “wisdom teeth.” These are the last teeth to develop and don’t usually break through your gums until you’re a young adult. Your third molars are there to help with the digestive system as well with breaking down food. They are meant to be a functioning part of your smile, but your dentist will recommend removing them if they have issues growing in properly. Brush and floss especially good as they come in to avoid bacterial infections. Visit and openly communicate with your dentist about your adult teeth growing in. Complete Cosmetic Care Dentistry doesn’t want you to take any component off your smile for granted. Our teeth play important roles in our lives. Visit your dentist at our Sapulpa office to check on the development and maintenance of your teeth today.